Yesterday, while picking up a prescription for one of my boys, I overheard an exchange between a Pharmacist and a Pharmacy Tech. “Yeah, your kids are your life.” said the Pharmacy Tech as she moved to the shelf to grab my prescription. That’s what I wanted to say to the prickly pharmacy tech when she brought my prescription…but I didn’t. The exchange has been running through my mind since yesterday afternoon. I wanted to tell her that kids are a HUGE joy and she should be an encouragement instead of Ms. “Debbie Downer”! I wanted her to know that when a parent says that our kids are our life, that doesn’t mean we don’t exist anymore – our existence is transformed into something much greater. My children are also my life! If not for them, I believe that my world would look quite different! I know I would be much more selfish and self-centered. I know, because that’s how I lived for many years. My children and my husband are helping me to become a better person. I think about those many times when I was so tired, and one of my boys would wake in the middle of the night. I would shuffle into their room, praying as I went, for him to fall asleep quickly, so I could go back to bed. I remember so vividly rocking each of my babies back and forth, while humming a song to get them to sleep. I was forced to slow down, to be patient, and to do something for another person who was completely dependent on me. It was amazing how the frustration and exhaustion would transform. It was still there but as soon as I looked at that sweet face in the glow of the nightlight and kiss those plump soft cheeks, I could feel myself changing! As I gazed down at my child, you might find tears streaming down my face from the mix of exhaustion and JOY. If not for my children, I would never experience the juxtaposition of these emotions during such a precious moment. I wanted that tech to be an encouragement – but am I? Why do I sometimes assume the worst about people’s lives? As my mind begins to marinate on the exchange I just described, I imagine that the lady (without kids, I am assuming) has a picture in her mind of how life sucking having children must be. She probably envisions kids running around wild, breaking vases, the mother screaming, while all the kids are shooting each other with silly string. Meanwhile, I am picturing how lonely her life must be. Sitting in a darkened room that is bouncing with shadows and flashes of light created by the glow of the television. Each night, I imagine, she nestles in her recliner with a TV tray in front of her, while stroking one of her 15 cats and eating Chinese take-out straight from the box. The truth is, when we don’t know someone’s life, we can only assume what we do not know, until we do – and even then we still don’t really know. What I mean is, that woman can’t possibly know the joy of parenting and all of the precious moments and love it provides and what it means when a parent says that their children are their life – and in turn, I don’t know how fulfilling all the activities and events she experiences without children truly are. 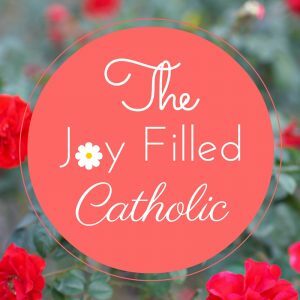 After all, not everyone is called to marriage and family, and there can be extraordinary joy and great satisfaction in those vocations as well! I know, because I have seen it happen for people I know and love. So, what can I do? I can start by thinking positively about the person and their intentions, instead of assuming the worst. Next Post What Stops You From Letting Your Light Shine? Your point about assuming the worst of other people’s lives is something that fruatrates me so much as well!! I don’t know why we do it, if we maybe need to do it to make ourselves feel better about our pwn decisions, but it is so destructive!! Masha, I think you might be on to something and you are right, it is destructive. I don’t like it when people do it to me and I have been trying to notice when and why I do it. What I have discovered is, I usually do it when I feel like someone is judging me or looking down on me for the way I live my life. I think it’s sort of a defense thing like, “Well, if you are going to reject and judge me, I’ll do it right back to you.” It’s not right, but it’s what happens. Being aware of it helps me to recognize when I do it, so I can catch myself and try to change my thinking to something more positive. Or, even better, I can pause and say a prayer for the person.